It seems that they are reading this blog. I was surprised to see that more than half of the hits to the blog are from Europe and Asia. 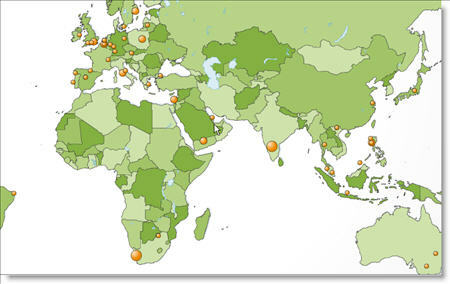 The following map from Google Analytics shows where you are all from. The previous article is Government Issue and Free. The next article is Microsoft Project Tip - Formulas and the IIF statement.